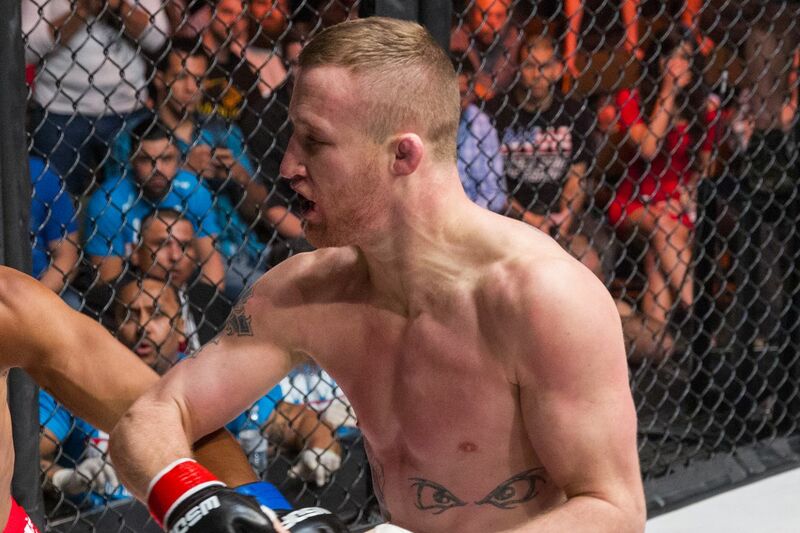 World Series of Fighting (WSOF) held WSOF 29: “Gaethje vs. Foster” on March 12, 2016 at the Bank of Colorado Arena in Greeley, Colo. The main event was a lightweight title fight with Justin Gaethje putting the belt on the line against WSOF 25 “Lightweight Tournament” winner Brian Foster. Previously, the Colorado State Boxing Commission (CSBC) was upset with Gaethje for doing a backflip off the cage to celebrate his first round win over Foster. Its response was to suspend Gaethje indefinitely for unprofessional conduct. There’s good news for Gaethje, however, as CSBC director Josef Mason confirmed the suspension was lifted (via Sherdog.com) following a conversation with WSOF’s lightweight champion. Mason wanted to make sure Gaethje understood the “concern by the commission for the safety of all around the cageside area” and feels after talking to Gaethje that he got the message. Does that mean we won’t be seeing any more backflips off the Decagon from the undefeated WSOF champ? It’s fair to say that if we do see him do it again he won’t be doing it anywhere near a CSBC official.